This clean, handsome arrangement was designed by our world-class and award-winning design team specifically for an open corporate setting. If your recipient works in an office and is having a birthday, a bad day or won the lotto, this will impress! 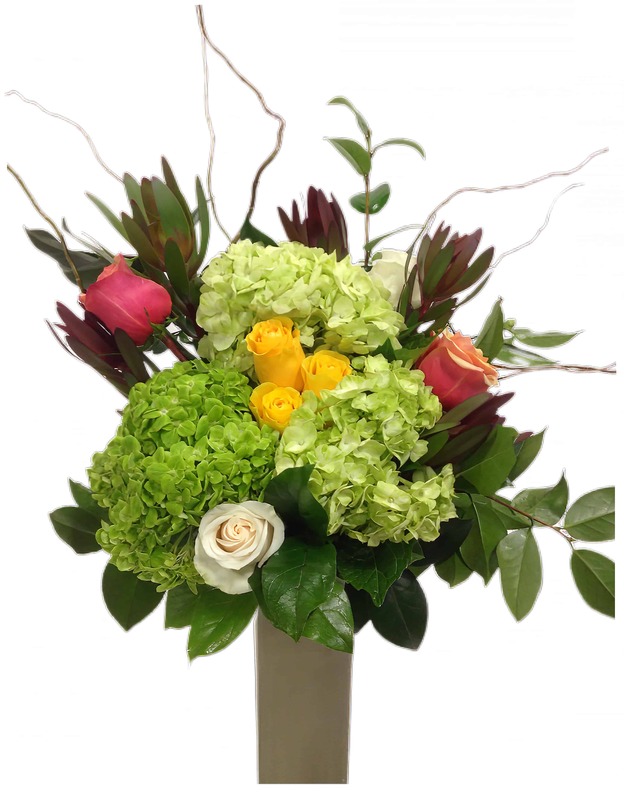 Featuring Imported Roses and fresh Rainbow Hydrangea in a special tall vase suited to fit a large, empty space in need of cheer.